With a team of over 2800 people in Sofia and Plovdiv, TELUS International Europe is the biggest employer in the Business Process Outsourcing (BPO) sector in Bulgaria. The total number of our employees in Europe (Bulgaria, Romania, Great Britain and Ireland) is about 5,500, and globally we are more than 30,000. TELUS International Europe offers its team members, located in four offices in Sofia and Plovdiv, some of the most modern and comfortable working spaces in Bulgaria, as well as over 40 additional social benefits such as fitness, yoga, psychologist, office massages and others. These are just some of the things that make us "the feel-good company". As a TELUS team member, you can be part of something bigger, participating in our CSR activities which reflect our philosophy to give where we live. Several times during the year we put aside our daily work to contribute to the local communities through TELUS Days of Giving events. Our integrated BPO and ITO solutions address the entire customer experience. When it comes to customer management, we help optimize and streamline both your voice and non-voice interactions. For your next-gen IT and digital transformation needs, we assemble the best technical teams globally to deliver high-value engagements. 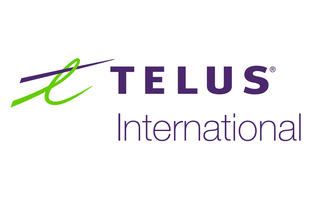 Partnering with TELUS International promises more than just and outsourcing arrangement. We serve top global brands across a range of industries. A premium multilingual customer experience and contact center provider serving customers in more than 35 languages. Do you speak any foreign languages? We offer great benefits, learning and development opportunities and an amazing company culture!